We like to think we know you, Henley Honda family. We know that you love superior technology and that you want to be able to access information at any time. 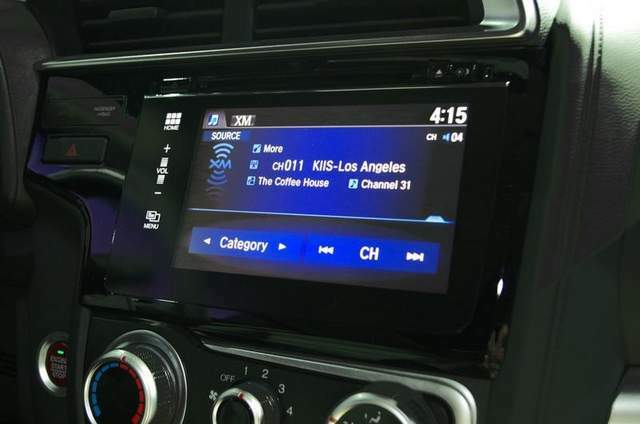 And that is why we are so pumped about the new advanced infotainment system in both the 2014 Honda Civic and the newly unveiled 2015 Honda Fit. We think it’s exactly what you’re looking for. You’re going to love the new infotainment system with a super simple interface that pairs with your smartphone for navigation and music. There are also apps available to help you access all the information you want when you want it! At the recent Detroit Auto Show, Honda showed up the new Fit with a 7-ince touchscreen that lets you swipe, pinch and tap – just like the smartphone technology that you’re used to. Say goodbye to Honda’s old two-screen i-MID display with the jog wheel and hello to an easy-to-use streamlined system. And as simple as it is to use, it is also technologically advanced. We’ve improved on the system in the Honda Civic and now the Fit is the first car to have Siri Eyes Free integration straight from the factory and the second with the updated version of HondaLink (the 2014 Honda Civic being the first). Get turn-by-turn directions with a new smartphone powered navigation system. For just $60, you have access to a system that allows you to select your destination on your phone – whether you are in or out of your car! Currently, the system is only compatible with your iPhone 5, 5c, or 5s, but Android connectivity is coming soon. There are no plans for backwards compatibility though, so upgrade first! With auto show season upon us, expect to hear about more new features Honda is releasing. You’re going to love them!